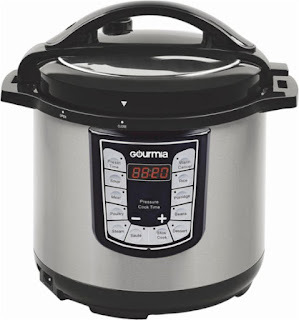 Today ONLY - Gourmia - 6-Quart Pressure Cooker - Stainless Steel/Black ONLY $49.99 (Retail $119.99). Get family meals ready quickly with this 6-quart Gourmia Smartpot pressure cooker. It has 13 automated cooking modes to suit different recipes, and its simple digital touch pad provides easy operation. The 24-hour timer of this Gourmia Smartpot pressure cooker lets you plan and prepare meals in advance, so they're ready when you get home.